Had a similar issue with my LBD: using Awakened Scorpio +10 wouldn't allow wind spirits to spawn for rolling typhoon; traded in with antique guy to get Baleful Lynblade, and wind spirits start to spawn again and can complete. Are you using a weapon from an old progression path? If you are, don't trade your weapon in yet, instead try buying a cheap weapon from an NPC to test it? 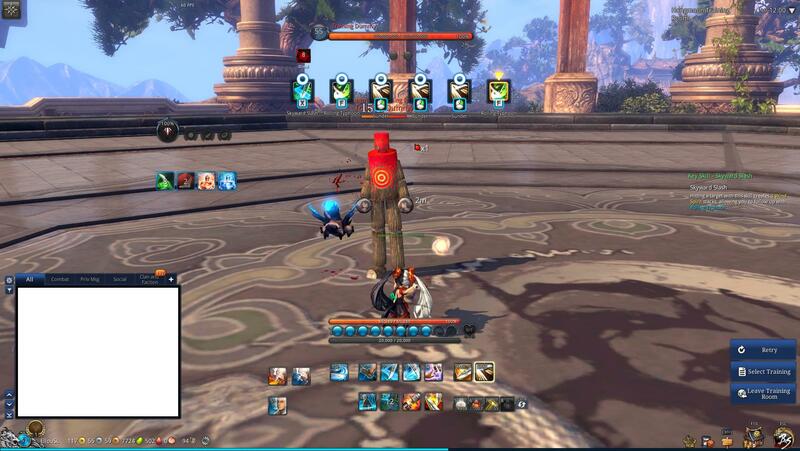 Edit: Probably ignore this actually, just realised way of the warlock is probably early tutorial mission, not Hongmoon training room. My boyfriend started on a new character playing WL and had the same problem. What he did was do his whole combo 2 - 3 - 4 - RMB - 4 - RMB and somehow it worked for all 3 hajoon images so maybe give that a try? There was also no completion sound when he killed each mirror image so take note of that.